When we were called out for this project, another contractor had already removed all the existing materials. 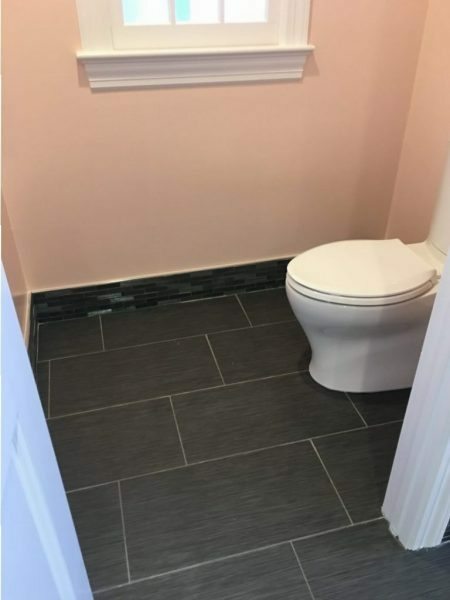 In order to complete the job more quickly, the homeowner requested that we handle the design and installation of this large master bathroom. Working with a Designer in our Kitchen & Bath Studio, the homeowners requested a large tub, double vanity, large shower complete with shower bench, and to keep the separate water closet room. All of the materials for the bathroom were ordered through the Monk’s Morristown NJ showroom. 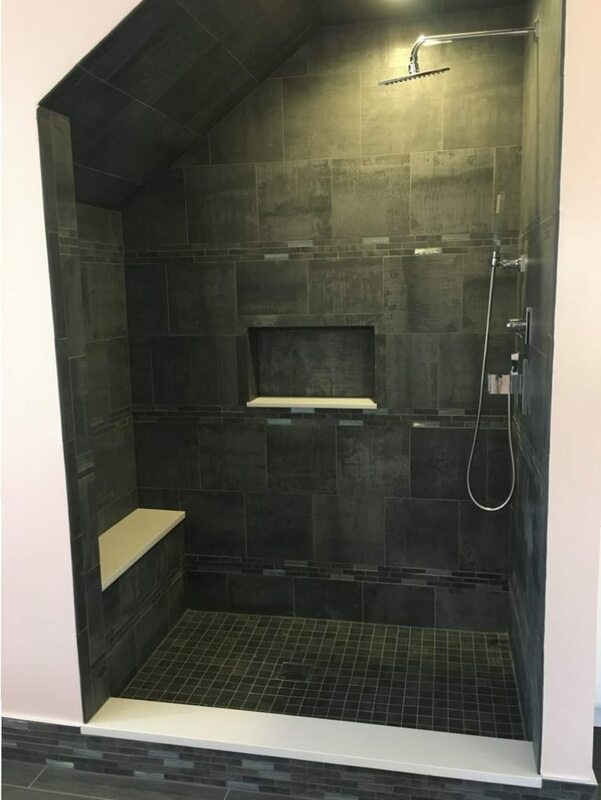 We began by framing the shower to accommodate the shampoo niche and shower bench. Once all the walls were rebuilt, the large tub was placed underneath the double windows. This modern tub features a hand-held spray wand, speakers, lights, and an air pump to create soft bubbles. Then the tile was installed in the shower, the floor, and up on the knee wall in front of the tub. Additionally, we installed a tile mosaic for the baseboard all around the bathroom. This unique addition really added visual interest to the room. 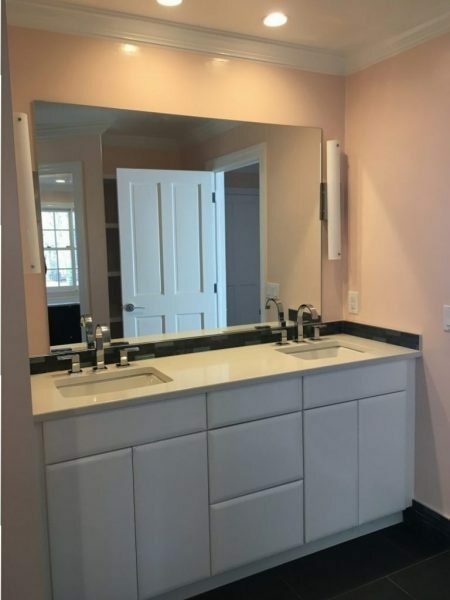 A modern double vanity was installed. The sleek cabinetry does not require any hardware. Instead, the doors open and close by pushing on them. 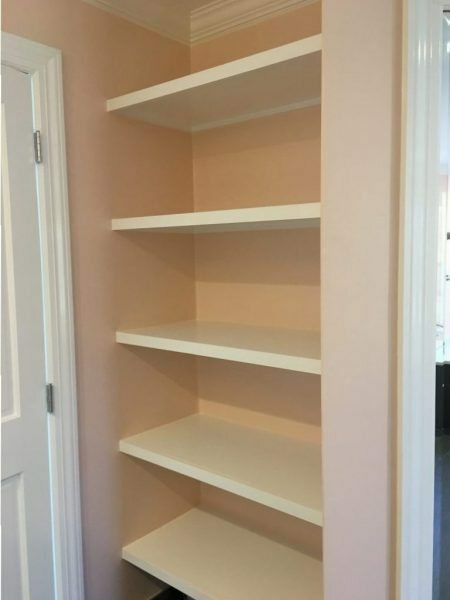 Shelving was built into the recess of the wall behind the door. This is a great place to house towels and toiletries. 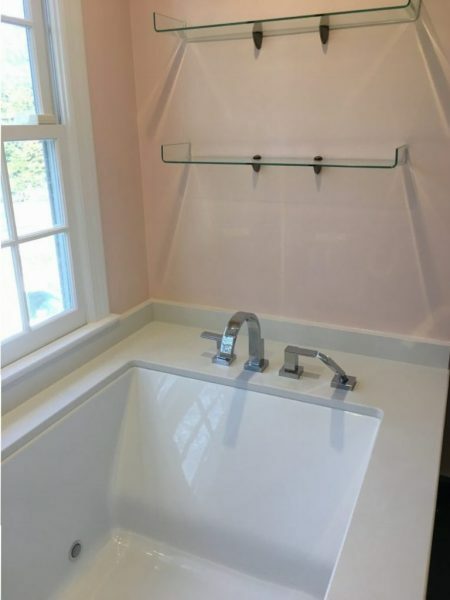 Additionally, floating glass shelving was installed above the tub. 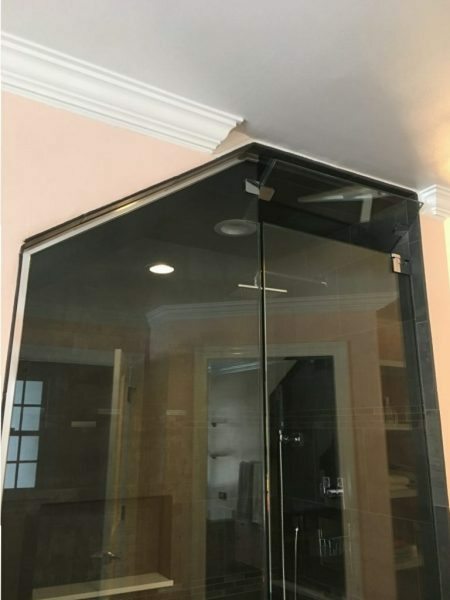 Finally, the frameless glass shower doors were installed. The glass portion consisted of a fixed panel that was cut to fix the slanted ceiling. The second panel was the actual pivot door. Now the homeowners are ready to enjoy their sleek new bathroom! 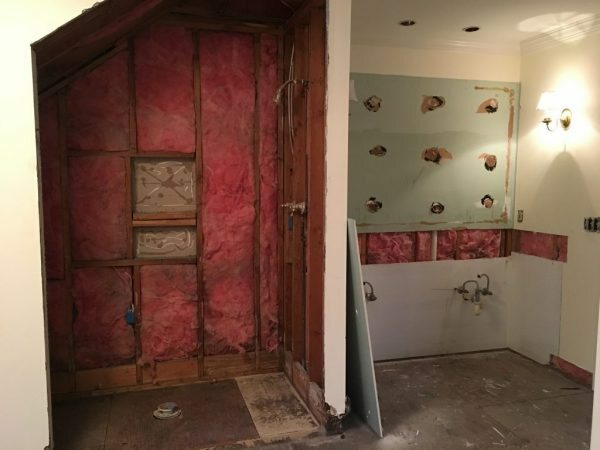 More Projects: To see additional bathroom remodels done by Monks, see these powder room remodel, bathroom renovation, or hall bathroom renovation projects. 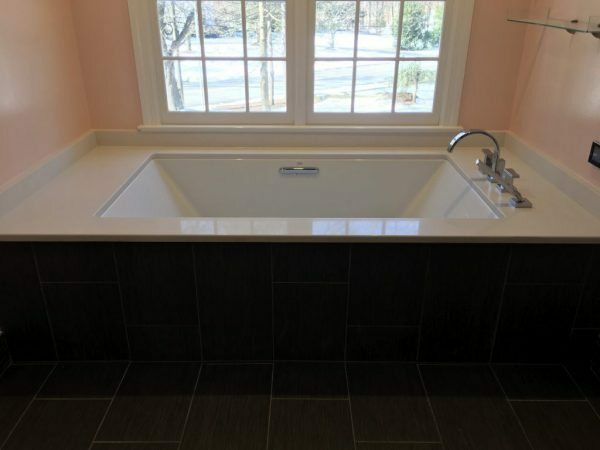 If you are considering a bathroom remodeling project for your home we would like the opportunity to tell you why we think we are the best bathroom remodeling contractor in Morristown, NJ.